All alloy wheels which are diamond-cut with a clear lacquer finish are prone to what's called 'white worm'. Even with regular washing and maintenance, the inevitable stone chips or slightest kerbing can break the lacquer seal and moisture can ingress and the white worm will start and slowly spread. In Winter, road salts etc do not help! In fact the UK is known for it's particularly corrosive version of road grit compared with Europe - Funny how Europe, especially Germany, is so much kinder to the motorist than the UK! If you are still within warranty, complain to your dealer and you are most likely to get the wheels refurbed/replaced by them. BUT, only the individual wheels which you have not kerbed. Also, only if your car was originally supplied with diamond-cut Alloys. 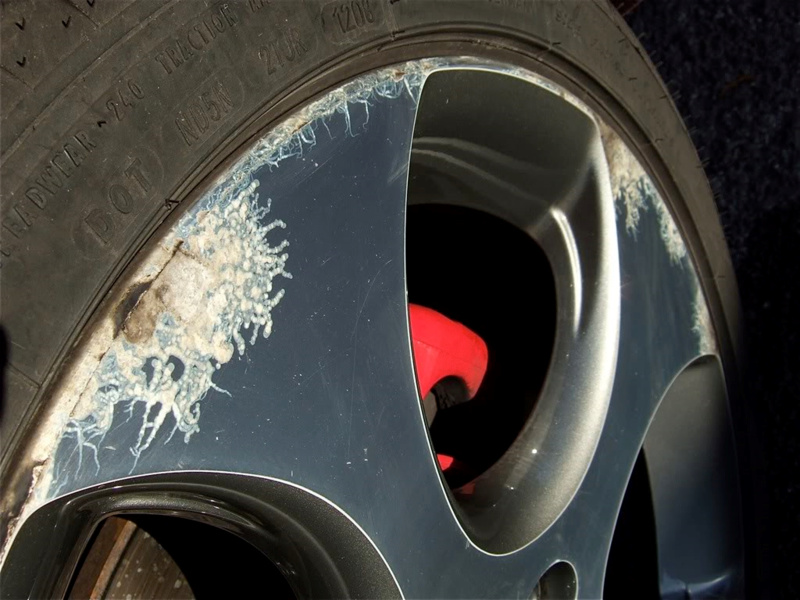 Buy an expensive set of new Diamond Cut alloys or buy replicas as replacements - But be aware that replicas tend to be made of less quality Alloy! YES! I want to save up to 50% by having DJ Smart Repairs carry out their S.M.AR.T. repair on my vehicle! That's it! Just click SEND and we'll be in touch very soon, usually the same day! Why Choose DJ Smart Repairs Manchester? THE RIGHT TECHNICIANS – Our mobile car body repair technicians are highly trained to use our unique smart repair high-tech tools and techniques and continuous training never ends! THE RIGHT TOOLS - We know which sophisticated sanding tools and paint methods work. We equip all our vans with high-tech tools so we are able to complete car dent removal, scratch repair services and paint applications, mobile, out doors, in all types of weather. THE RIGHT PAINT APPLICATION - Our skilled technicians offer three different paint systems to accommodate every type of auto body repair situation - single stage, basecoat-clear coat or tri-coat. Copyright © 2019. Mobile S.M.A.R.T Repairs Manchester.